Reality Counseling Services is an outpatient treatment center that specializes in providing services tailored to help the patients who come to the facility to recover from active addictions that might be causing them great difficulty and pain. All of the services that are offered at the center are based on outpatient programs and provide the patient access to therapeutic sessions, as well as other accompanying services that are crucial to helping the patient overcome their drug and alcohol addictions. 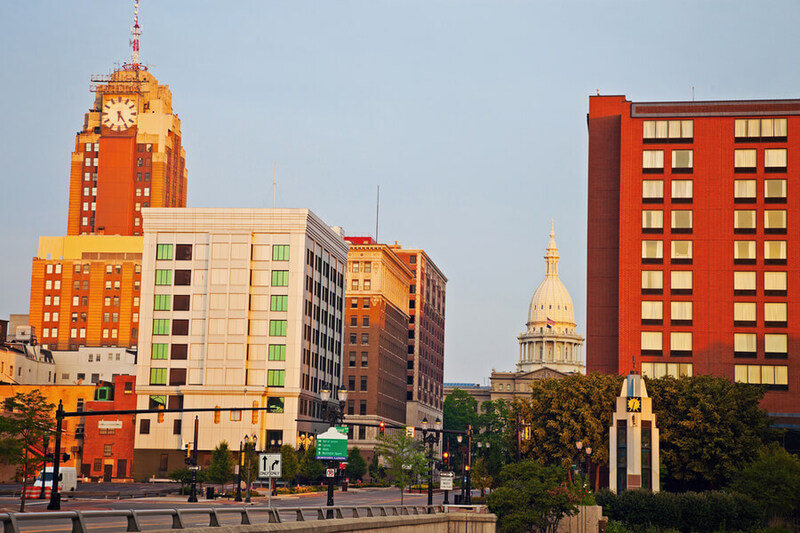 The center has established two facilities in the Michigan state, where patients can undergo all of the treatment services that they have to offer. Patients who are in need of residential services will not be served at Reality Counseling Services and may need to be referred to an alternative treatment facility in order to provide them access to housing benefits in a sober living environment. Reality Counseling Services only offer outpatient treatment programs and patients are not allowed to stay at the facility overnight or during their treatment period. All patients will only attend therapy sessions and undergo additional treatments at the facility at specific timeslots that have been allocated to them. When sessions are not in progress, the patient is required to have their own accommodation where they can reside. The treatments that are available to patients at Reality Counseling Services are all outpatient programs that will offer the patient access to different types of services at scheduled times. The patient does need to undergo a comprehensive assessment, which will be conducted by a licensed counselor at the facility that is closest to the patient’s location in Michigan. When the patient undergoes an assessment, the counselor will ask them a range of questions to determine what the patient is going through and how they need to be helped to ensure they can recover from their addiction. Reality Counseling Services will ask the patient to attend multiple therapy sessions while they are undergoing treatment at the facility in order to ensure the patient is able to recover from their addictions. The therapies that the center provide patients with, also target additional conditions that the patient may experience, which often include depression-related symptoms, bipolar disorder, and signs of anxiety. By addressing these problems through therapy, the patient has a better chance to recover and stay sober after they have completed the outpatient program that was developed for them at Reality Counseling Services. Individual therapy sessions are provided to all patients. There are also multiple group counseling sessions that can be utilized by patients for additional support. Reality Counseling Services aim to be an affordable option for patients who have addictions that can be treated through an outpatient program. The facility’s services are more affordable than many of the other centers in the area and will give the patient access to aftercare services for free. It does not seem like the facility accepts insurance policies, which means the patient will be responsible for paying their own bill. We were not able to obtain any specific details regarding accreditations that national bodies like the CARF organization and the Joint Commission have previously awarded the Reality Counseling Services facilities for the particular treatment services that they are able to provide patients who come to them to recover from their addictions. For many patients who might be interested in being treated at this facility, knowing that the facility is licensed with the department of health, as well as that the facility has obtained accreditations to back up the quality of the care services they provide, might be important. If a patient feels that they need to know such details before they decide to make use of the outpatient treatment solutions that are offered at Reality Counseling Services, they should contact the center directly to find out more and to get answers to their most important questions. There are no special amenities made available to the patients who are treated at Reality Counseling Services, since both of the facilities that are operated by this company only provide outpatient treatment programs. These outpatient programs allow the patient to come to the facility at dedicated timeslots to undergo treatment. There is, however, one particular amenity that patients should note – which is the fact that the company offers the patient aftercare services once they have completed the primary outpatient program at no additional costs to the patient. The official website that represents Reality Counseling Services has been taken offline, which makes it difficult to determine who is involved at the facility. Extensive details about the nursing staff, therapists and counselors, as well as the other support staff that has been employed at the Reality Counseling Services facility can be obtained by getting in touch with the facility directly. The company has two different buildings, both located in Michigan, with a unique set of staff members each. For this reason, patients should contact the facility that is closest to their home to ensure they can get an overview of the specific staff members who will be caring for them while they are being treated for their addictions at Reality Counseling Services. Patients should be able to gain an overview of the qualifications that these staff members hold, as well as find out more about their experience and expertise.